Q. 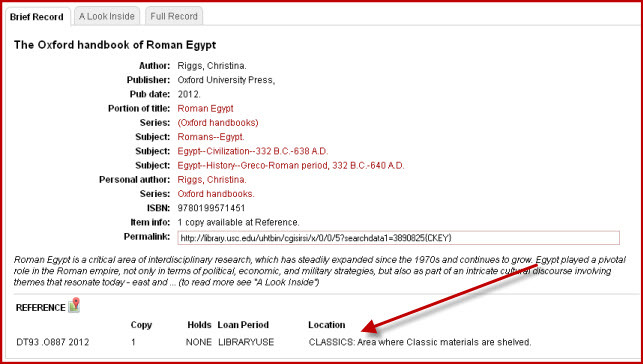 Where is the "Reference-Classics" section? The Reference-Classics section is located on Level 5 of Doheny Memorial Library in the bookstacks behind the Reference Desk. These materials do not circulate.